ARGH!! My writing game is way off. I have 3 drafts 95% of the way done but can’t seem to push them over the finish line, and here we are 1 official race into the season. 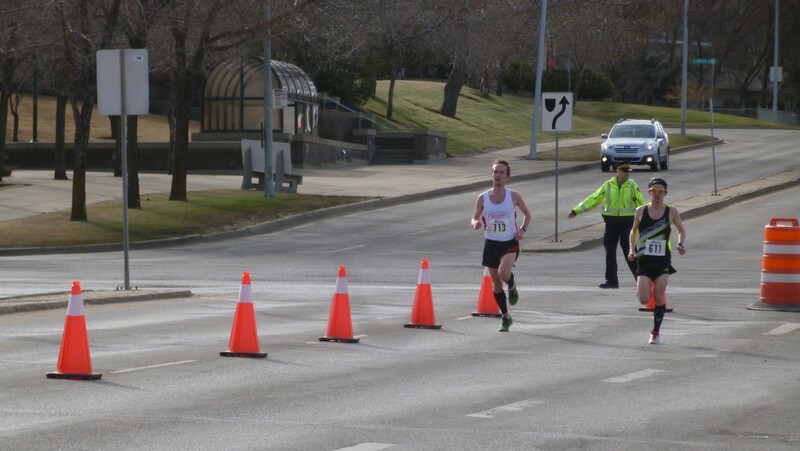 If nothing else, I am prompt with my race reports so let’s get back on track with the St. Albert Road Race 10 Mile Run. When Tommy and I set my schedule, we did so knowing this year would probably be a growth year. With nothing really that big on the schedule until Duathlon Nationals in September, it would be a good opportunity to try some new races and experiment, and have some fun in 2015. So I’ve chosen races based on going back to my roots, and heading to locations that I have always wanted to go but have not had a chance. You can see my race schedule here. The journey started on Sunday, back in the place where (amazingly) this all started. I still have a Polaroid somewhere of 10 year old Jesse in his very first cross country race, sprinting to the line through a snowstorm. 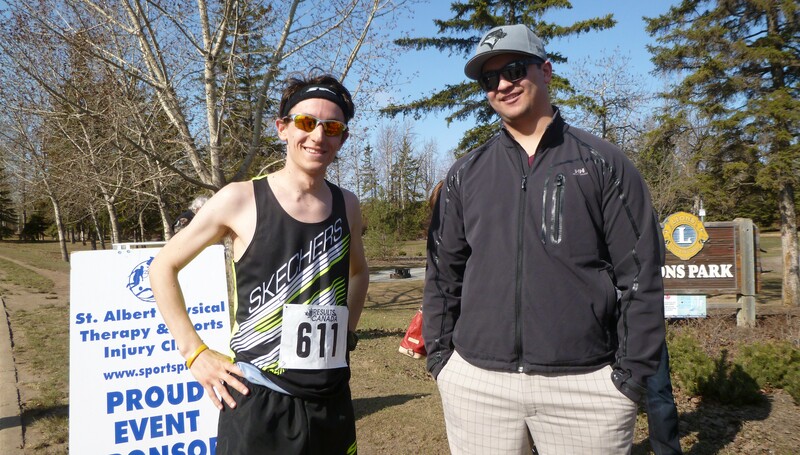 So on Sunday, I went back for the historic St. Albert Road Race for the 10 miler. 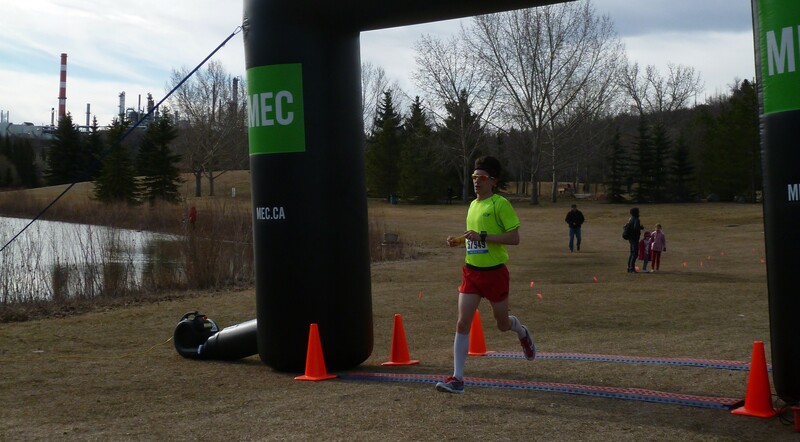 I did a little tune-up the weekend before this one, a small 5k that I won as part of a 20km day and after 10km steady in 43:00, but this was the official start to my year. Historically, this race has always been pretty quick. It has a very pro feel to it, with wide lanes coned off the whole way around the course. I also woke up to nearly perfect conditions of sun, 7 degrees and very little wind. Little did I know that this would be one for the ages. From the gun, I was part of an 8 person lead group that was quickly clear. The pace was probably a tad too rich for me right now (~5:20/mile), but there was no way I was about to put myself in no man’s land. So I tucked into a pace I knew was probably too fast for me, praying that someone else from the group would eventually want to drop back with me…and soon. To my relief, at around 2 miles just that happened. We dropped back and worked well together through about the hill at the 4 mile mark before I set off alone. I felt very strong on the hill, which bodes well for future races, but from then on it would be a solo mission of suffering and limiting the damage. The leaders were long gone by this point. I was holding out hope that someone would pop and come back to me, but that just didn’t happen. Those dudes were fast. In the past I have struggled and bled time when left alone, and I especially thought that would be true in this one. Though I did positive split (28:04/29:13), and I did slowly bleed time between 5 and 8 miles, I was able to rally in the last two miles. I even ran my last mile almost as fast as my first one (5:26 vs. 5:24)! Pretty spent at the end of my first 10 miler, but helped along by my Skechers GOMeb Speed 3’s. 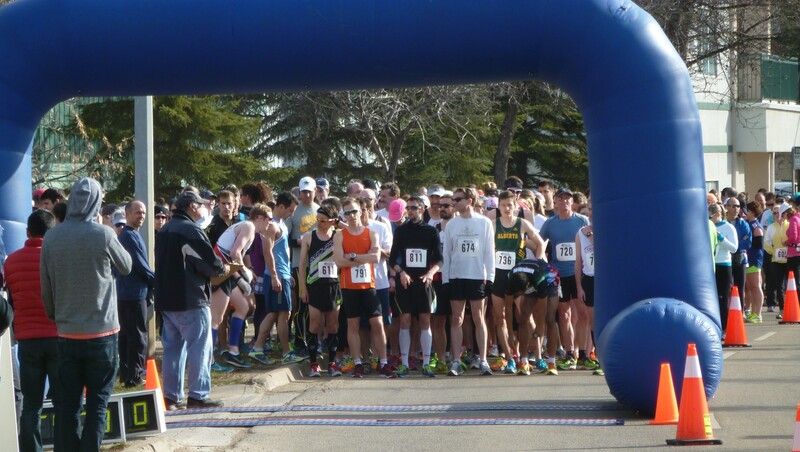 All in all, a successful season opener, 57:17 for 10 miles. Good race, fair course, and a new personal best. Going under 57:00 would have been nice, but I won’t complain. I raced a solid race, start to finish, and toughed out a long solo effort without completely cratering. My splits at 8km (27:58) and 10km (35:20) were also very encouraging. Thanks to all of my supporters and sponsors, especially to my parents and friend Steve for dragging themselves out of bed to cheer me on, and to Skechers Performance and Ignition Fitness for suiting me up and getting me ready. Next up for me is a rust buster duathlon in Penticton on May 9, before I test myself over 10km on May 17 and the half marathon on May 31. 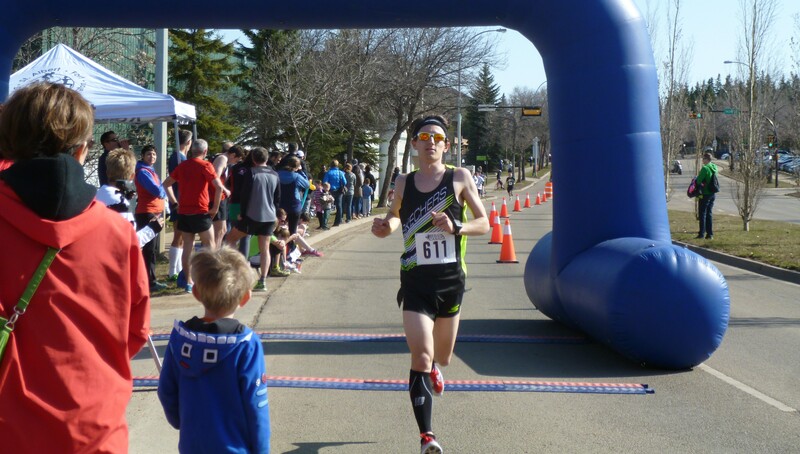 Hopefully I can keep the good times rolling and meet my goals of sub-33:00 for 10k and 1:15 for the half in those races. Should be a blast! Cheers to good friends! Thanks for coming out Steve.